When my husband upgraded to the new iPhone 5s, I inherited his iPhone 5. The size is different from my current iPhone 4 and I needed a new cell phone case. I researched a lot of cases which was kind of overwhelming but I did end up liking several designs. I couldn't commit to any one design so I ended up purchasing a clear plastic case and making my own inserts. Then I could change it up and see if I wanted just a graphic design or a personal photo. More info can also be found on Paper House Production's blog. I started by making a template for my insert in Silhouette Studio. I also included the space for camera and flash which I didn't want to cover. I also added some designs from my files and attached it to my frame to make an overlay. I used the template to trace onto cardstock and patterned paper to get the correct sizing for my base. 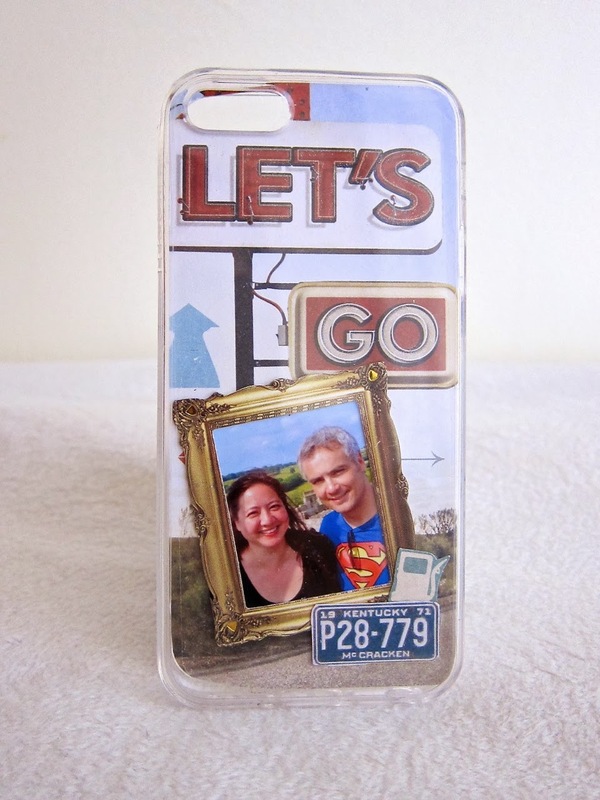 You can also use the case itself as a template. I also used my Silhouette Cameo to cut other designs, like the circle pattern overlay and the chevron stripes. I then just decorated my base with pictures, stickers, patterned papers and die cuts. I approached this like I was designing a page for a mini album. It is just a small amount of space to work with so I didn’t want it to get too cluttered. 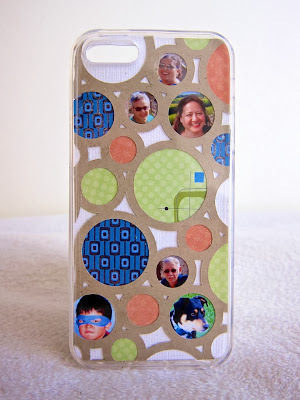 This is a fun way to make your own personalized cell phone case. You can make an insert for every season or holiday, showcase your photos or just your use your favorite design. 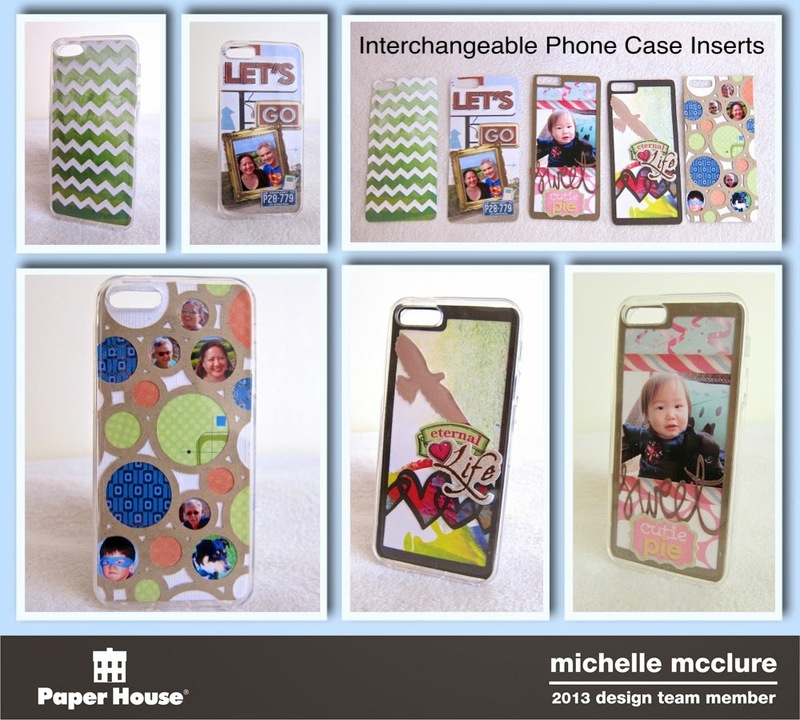 Nothing is permanent, so you can easily change out an insert for a new look without having to purchase a new case. This would make a great gift too. I won several packs of stamps from Fresh Squeezed Stamps and wanted to use some of my new goodies. 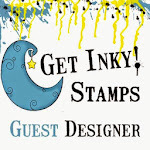 I played around with the stamps and some new techniques and wanted to share three of the cards I made. My favorite stamp set from my winnings was Breath of Fresh Flair which has numerous small images that fit on a circle stamp to make your own flairs. I thought the designs were so cute that I wanted to start with this set. 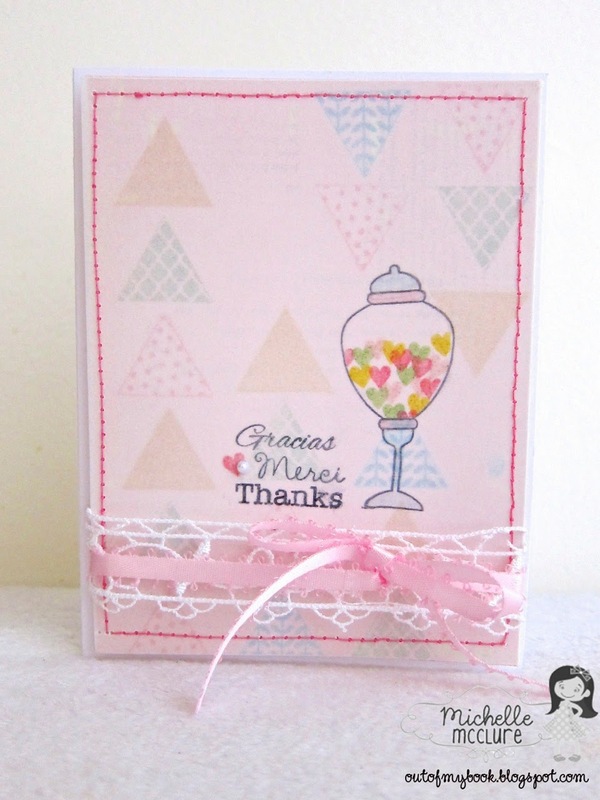 I chose to break out some wash tape which I've collected but have hardly used, and paired the two together to create this fun card. I taped some wash in strips on a piece of cardstock. I stamped the circle outline stamp over the top using permanent ink. 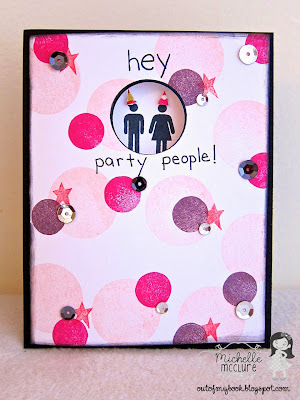 I punched out the circles using a circle punch, including some half circles along the edges. This was the forefront of my card. 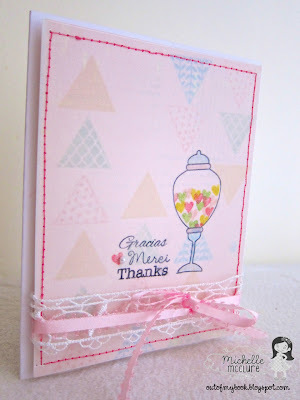 On the background, which is the actual white folded card, I stamped my images and sentiment. I used a cassette tape and bow stamp. To connect the two images, I drew in the squiggle line to represent the cassette tape ribbon being tied into a bow. I chose the "just a note" sentiment to play with the music theme. I popped the washi panel over my card with some foam adhesive. 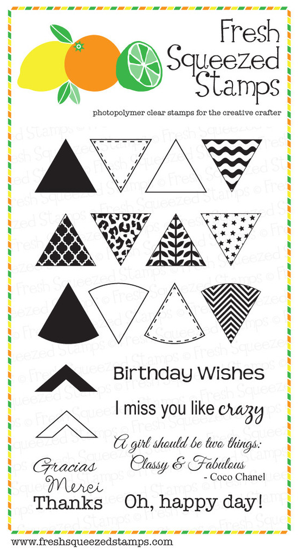 I also received a graphic set called Trendy Triangles. Since I normally like to use cute images rather than graphic designs, I challenged myself to use this set. I stamped some triangles in a variety of colors in descending and ascending columns. To tone down the colors and patterns, I stitched a layer of vellum over the top. On the vellum I stamped a jar of hearts with my sentiment. I used the same ink colors from the background for my hearts. I wrapped the paned with some ribbon and then popped that on top of my folded card with some foam adhesive. It came out very feminine and elegant. I made this next card for my two year old niece's birthday. 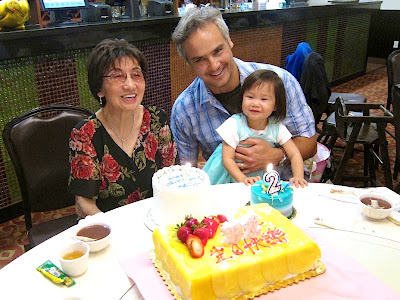 Here she is along with my grandmother and my husband who were also celebrating a birthday. They each had their own cake. Since she wouldn't really care about the design elements, I kept the card fun and bright. I thought she'd like the colors, the shine and the people with tiny party hats. 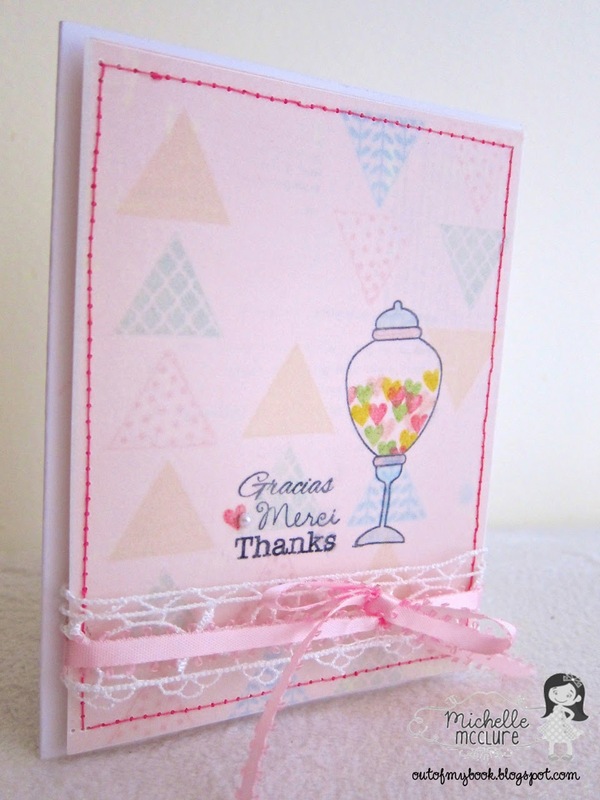 I stamped the front panel of the card with solid circles and stars. The smaller circle is actually the back side of an outline circle stamp, so remember that both sides of a stamp can be used if necessary. 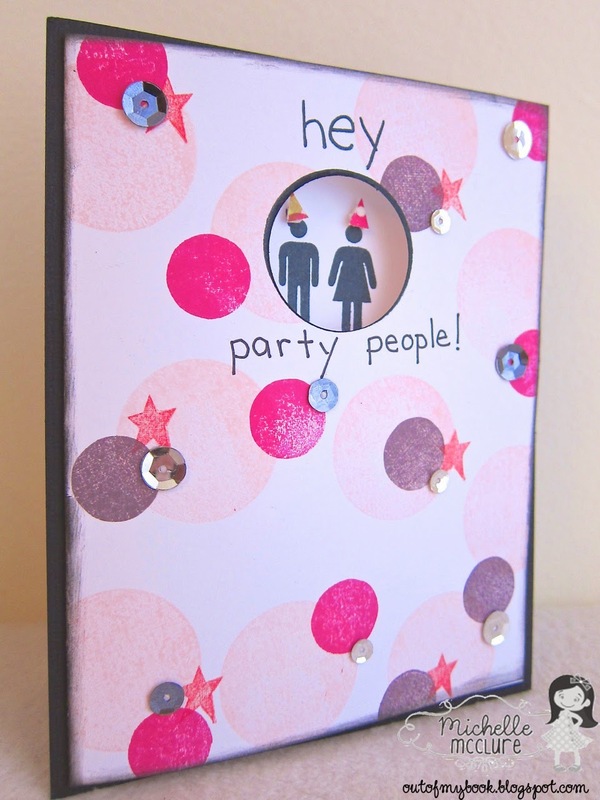 I punched out a hole on the front panel and stamped the people on the inside of the card. The hats are little triangles I cut from the leftover circles from my wash card. I added some sequins as a final touch. I wanted to give a jewelry box for a birthday present and decided to make my own. 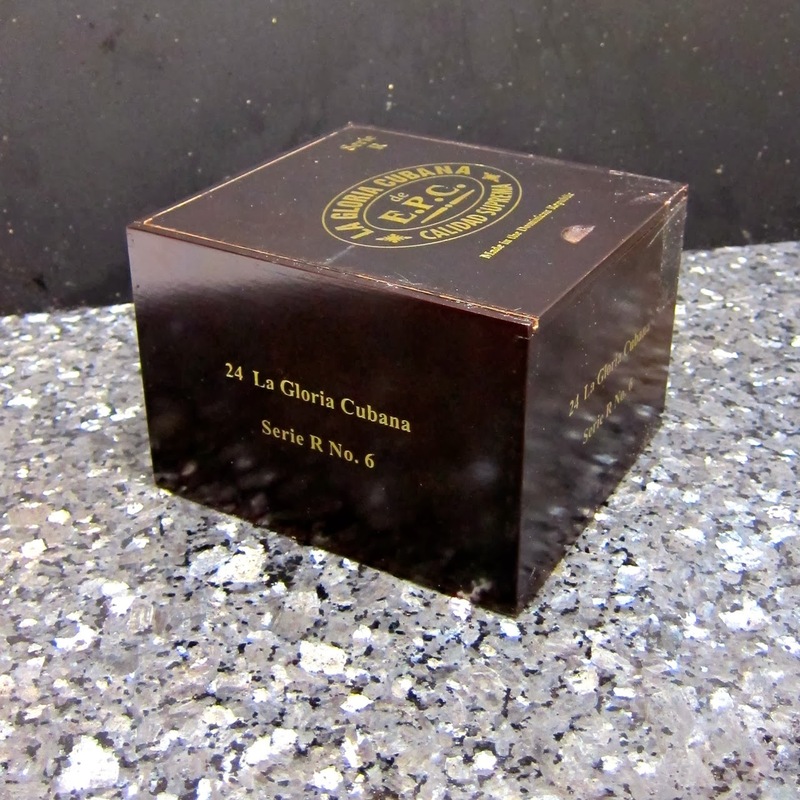 I took a dark brown wooden cigar box and altered it to make a gift for a young girl. The birch bark in the scrapbooking paper still gave it the appearance of a wooden box, but with a much lighter and more feminine look. I was talking to my father who mentioned that one of his friends liked to smoke cigars. I mentioned that I would like one of his leftover cigar boxes. I forgot about this conversation until I received a package in the mail a few months later that contained two empty cigar boxes. Since my father and his friend live in Taiwan and sent it across the Pacific to me, I thought I'd better put them to good use. Here is a picture of the one of the boxes in its unaltered state. I'm sad to say the other box did not survive the transit. I made this at a crop forgot to take pictures during the process. I guess I was too busy talking to my cohorts. 1. Sand the outside of the box with a rough sand paper. This will let the paint or adhesive adhere better. 2. 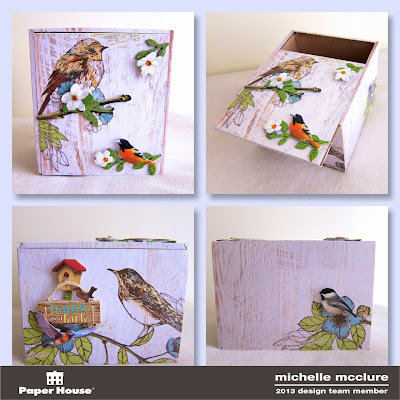 Paint the box with craft paint. 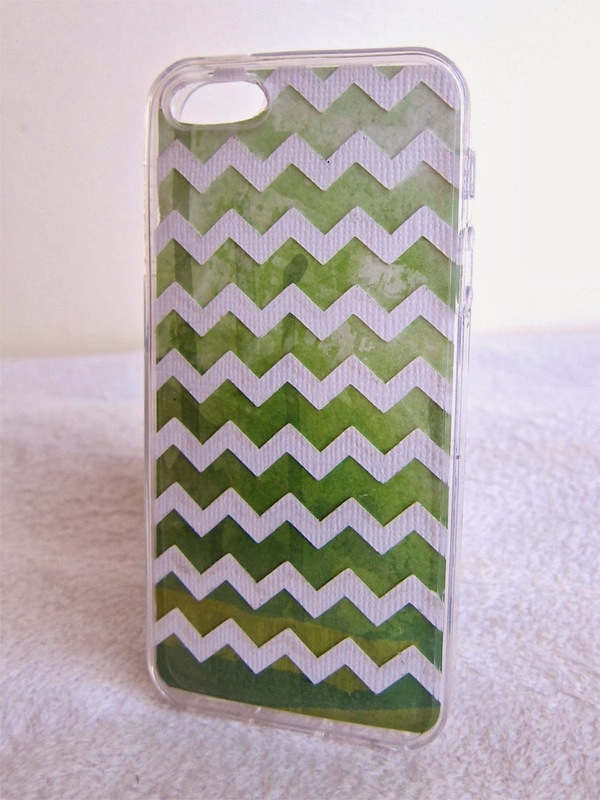 You can just paint along the edges so any exposed parts of the box will not be noticeable, especially the seams. 3. Trace each side of the box onto scrapbooking paper and cut out the pieces. 4. Spread a layer of Mod Podge onto one side of the box. 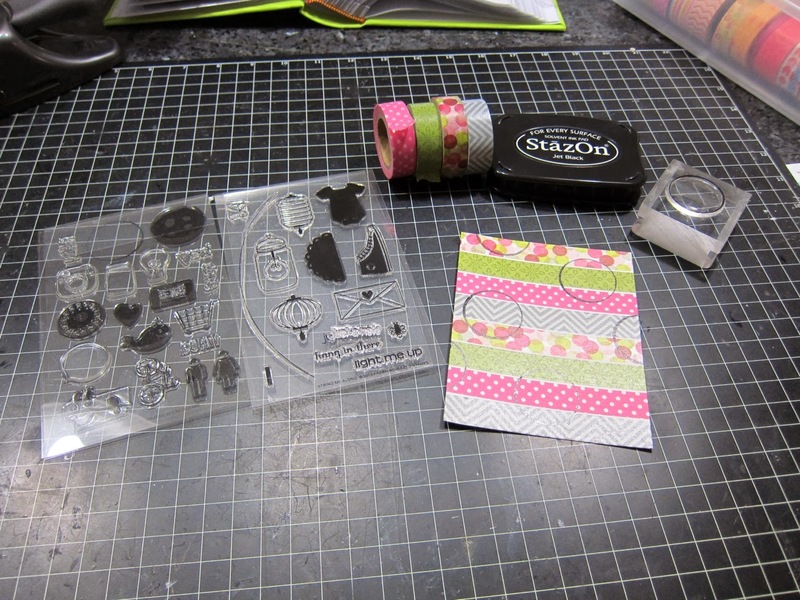 Place the corresponding piece of scrapbook paper onto the box. Try to lay the paper onto the box as smooth and flat as possible so it will not have air bubbles. 5. 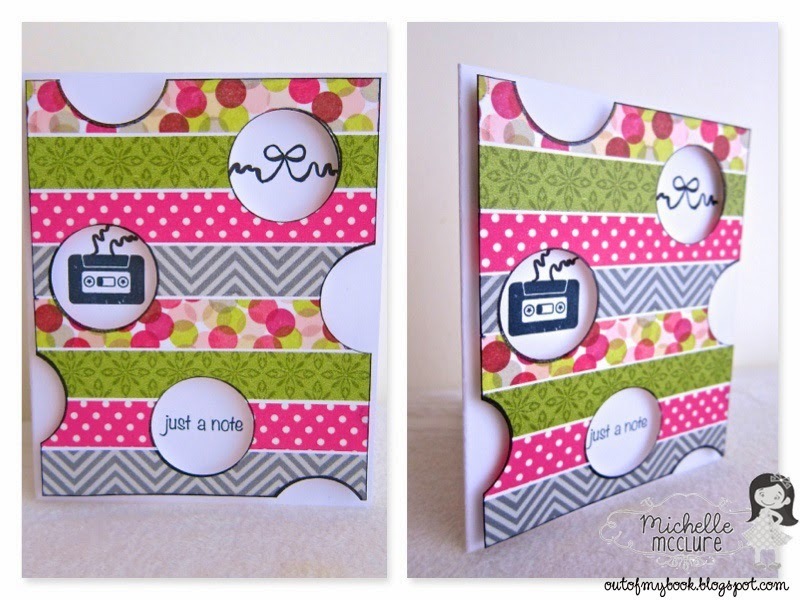 Spread another layer of Mod Podge onto the top of the scrapbook paper. Let dry. 6. Continue process with each side of the box. I left the bottom unaltered. 7. 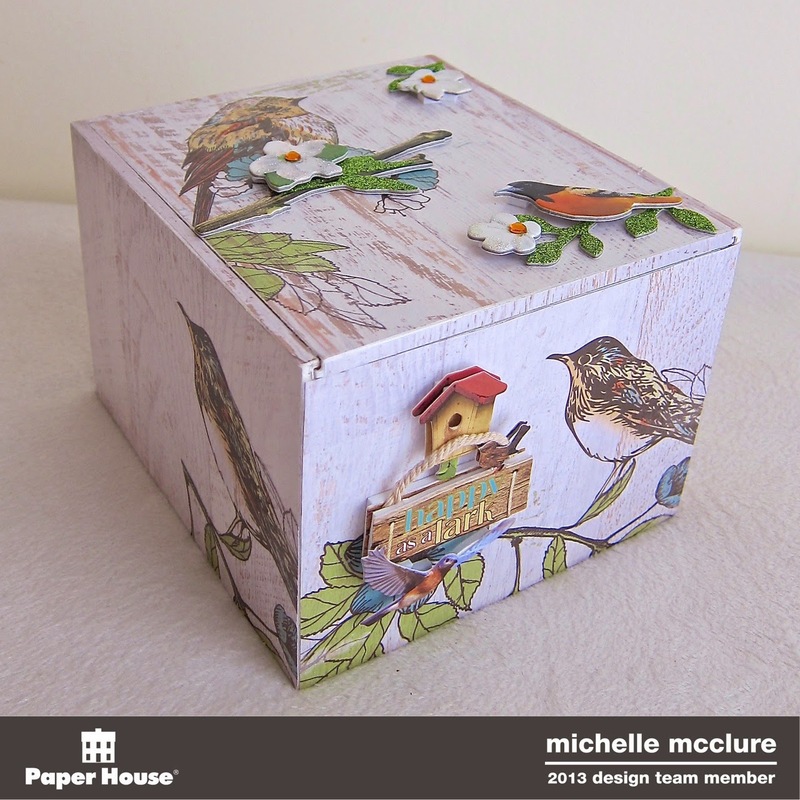 Decorate the box with embellishments and stickers. I decorated all the exposed sides. Here is a view of some different angles. 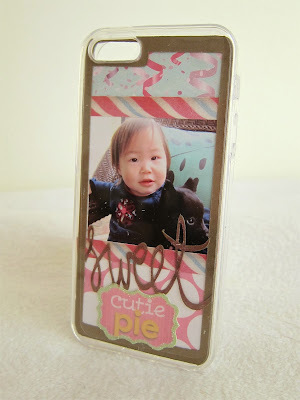 It turned out so cute, it will be difficult to give this one away. If you would like an instruction sheet for this project, here is a downloadable PDF. 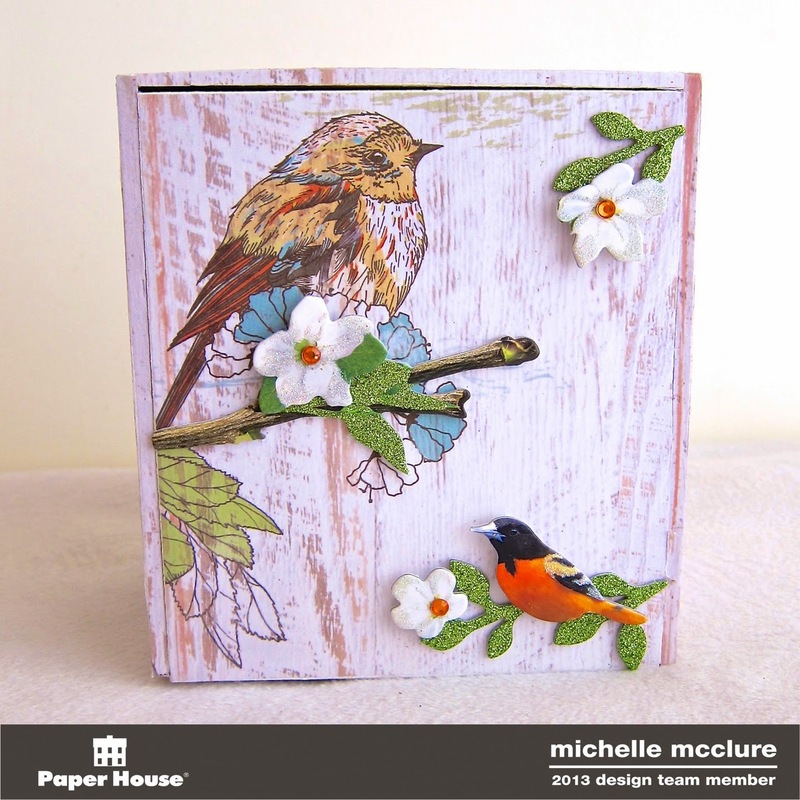 This project is also up on Paper House's blog today. Life.Paper.Scrapbook. 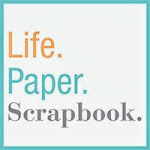 is a great scrapbooking blog to go to for information or if you like to enter challenges. 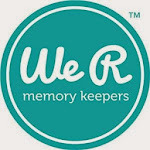 They have a color based, a sketch based and Project Life challenge each month. Also once a quarter, they release a free online magazine. To take a look at the new fall release, Issue 3: October, just go here. 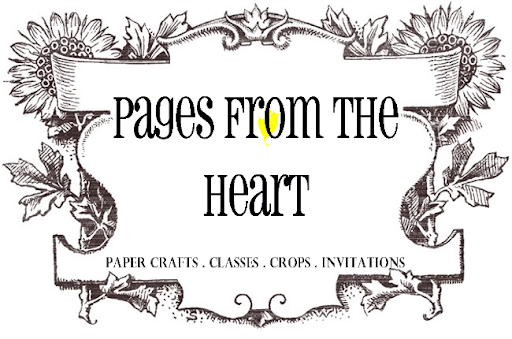 The magazine is organized into different sections like Scrapbook Pages, Cards, Project Life, Stamping, Mini Albums... so there is something for everyone. My favorite aspect is the style of projects they choose, so simple and elegant. I wish I could scrap like some of the featured designers. I submitted to their call and two of my layouts were included in this issue. 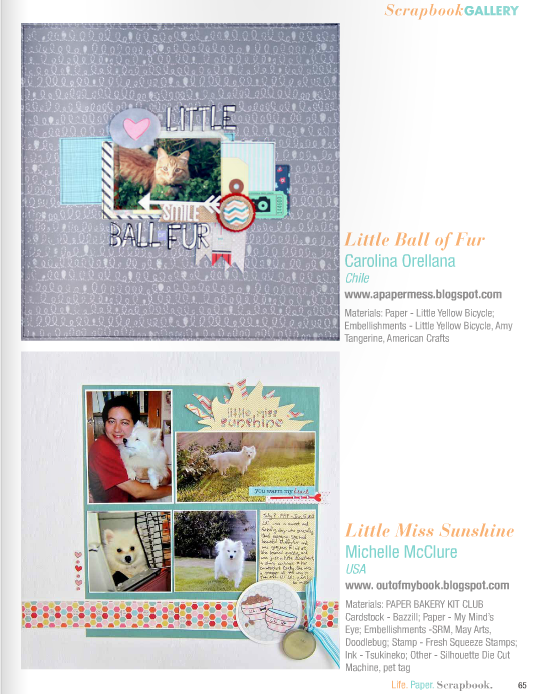 If you look on page 65 under the Scrapbook Gallery, you will see my tribute layout to my dog Lili. She was such a cutie pie, I'm glad more people could see her. 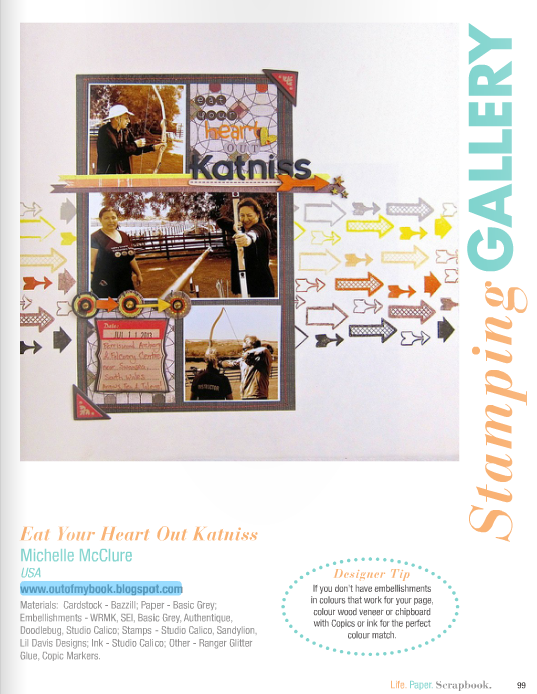 I also had a tongue and cheek layout, entitled "Eat your heart out Katniss" which is found on page 99 of the Stamping Gallery. 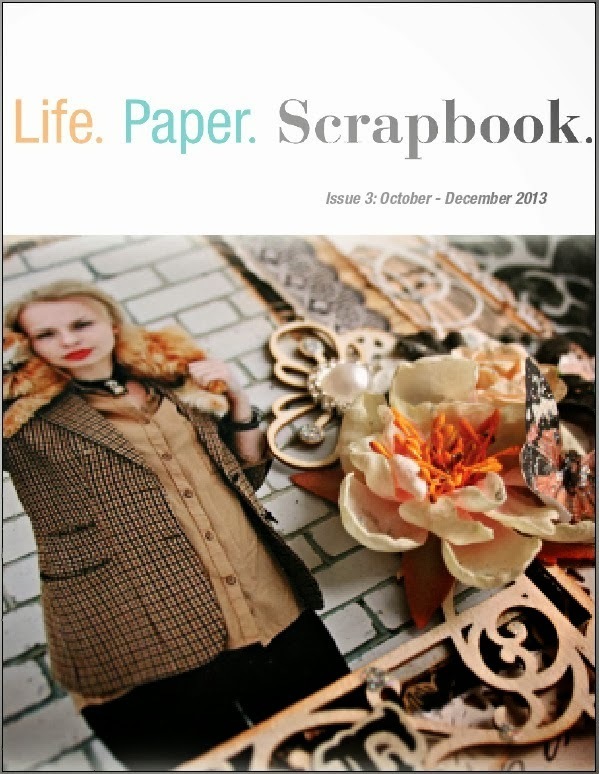 Take a look at all the inspirational goodies inside this issue. If you would to submit to the next issue, please see this post. Welcome to my little corner of cyberspace. 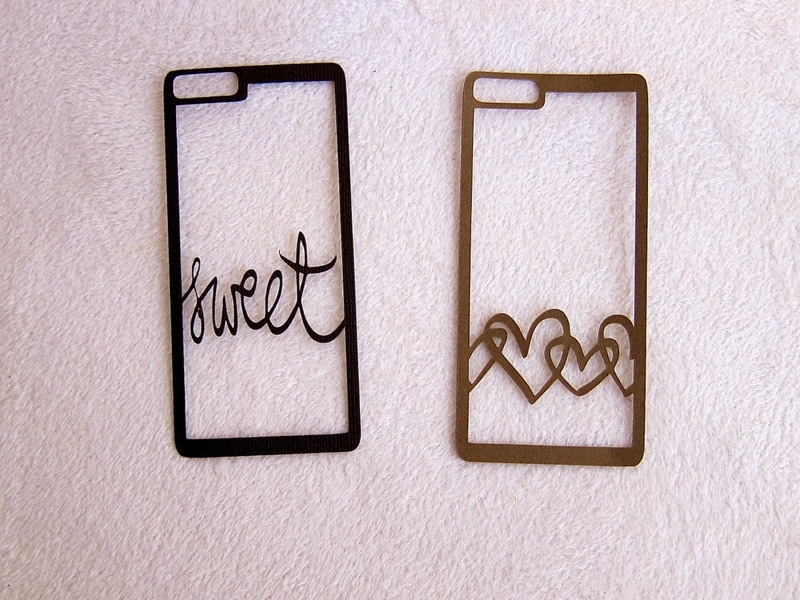 If you love all things crafty and scrappy, then you've come to the right place. All content © 2010-2012 A Page out of my Book | All Rights Reserved.